for one of your other characters? Use the Card Mover! in the Card Transfer Section in the Cards Tab to move cards. 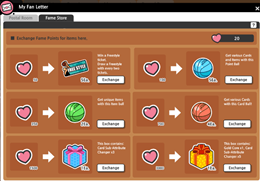 the In-game Store or in the Card Transfer Tab. account. So please be careful when moving cards! We hope this guide helped you out! 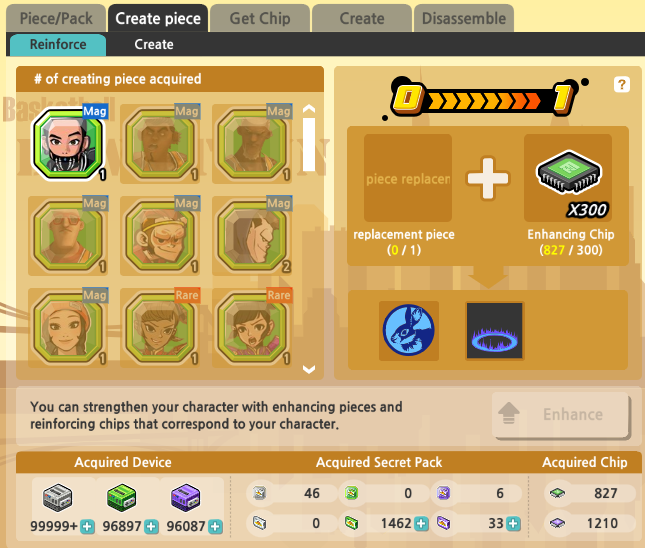 Character Piece Creation System has been added to DIY! Here are the things you should have for Character Piece Creation System! 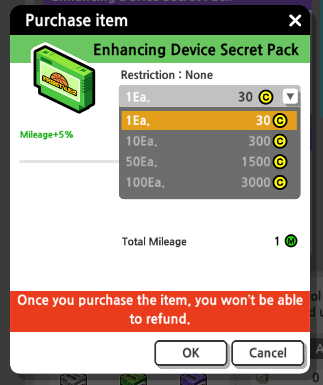 How to acquire Key (device secret pack) + Box (remote device)? Character Piece Creation System is divided into 2 categories! 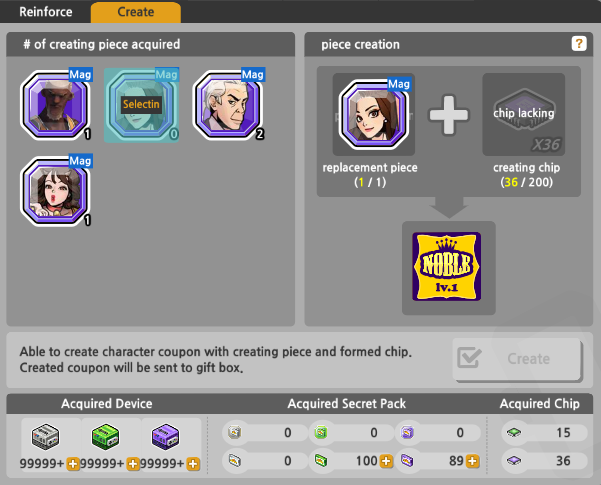 -This will allow you to create SPC coupon based on your selected character piece. Once you have enough key and Box, you may generate character piece. This is where the disassembled chips are located. different required # of SPC in order to create a level 1 SPC coupon. 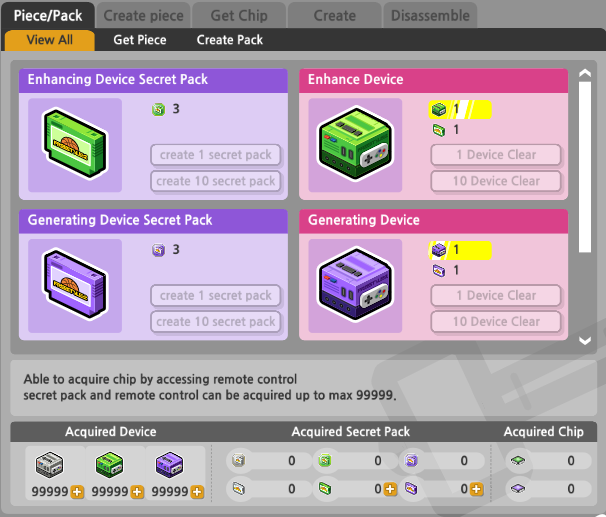 number of creating chips, you can now create Lv. 1 SPC Coupon! 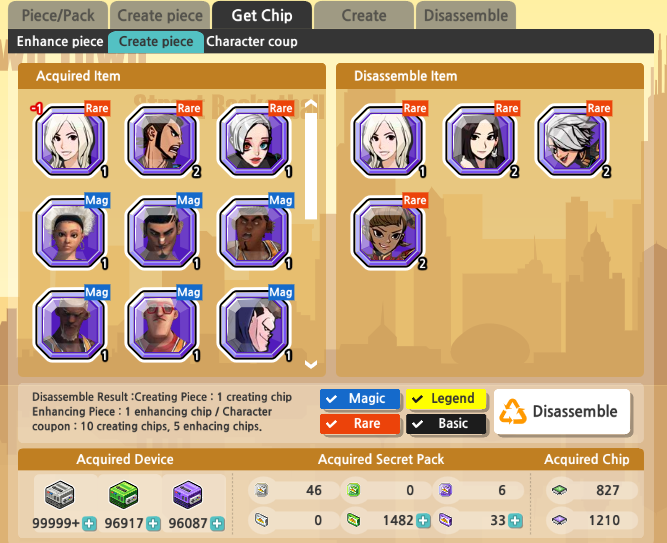 Secret Pack to get enhancing character chips. need in the Get Chip tab of DIY. character is an SPC, the user needs an enhance piece similar to the SPC. enhancing while matching pieces will be highlighted. 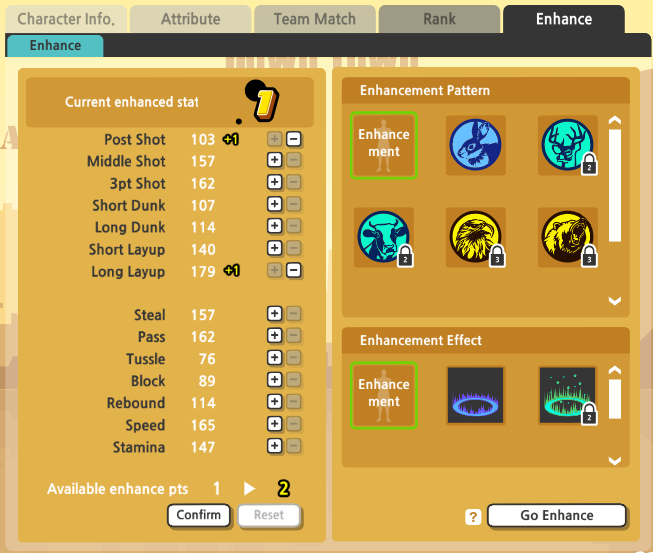 based on the level of enhancing. Finally you have reached level 50! Congrats! But to others, you are still a rookie. Skills for your character position. What is a Mastery Skill? freestyle after all, so pick you skills to match your own style! How do I get Mastery Skills? within the skill tree before equipping it! How do I level up Mastery Skills? You must first equip the Mastery Skill in order to gain experience to level it up. 10% of the experience that your equipped Mastery Tree receives. I picked the wrong skill to equip, can I change it? 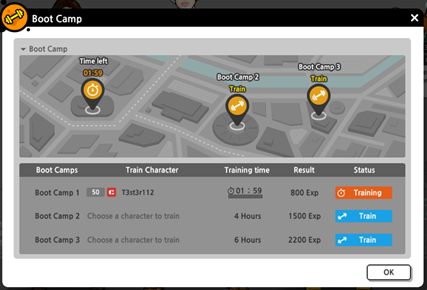 Yes, if you have mistook which skill to equip, you can still reset the Mastery Tree. You can buy Mastery Reset items in the shop for 470 GKash. Mastery skills provide more complexity and fun in deciding how to play the game. too overwhelming? We can help you out! to create them. It is written on the boxes what are the requirements for each box. Main Slot first before creating!" 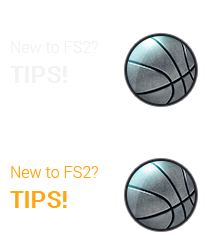 the cards slots if you have the corresponding required card"
All Star Pro card out of it will be a waste of time and resources"
some other cards to craft it. quick tutorial on creating a card. a Prism Upgraded All Star Pro card. Clothing Item Mover is now added to the game! What is Clothing Item Mover? characters within the same account. 3. 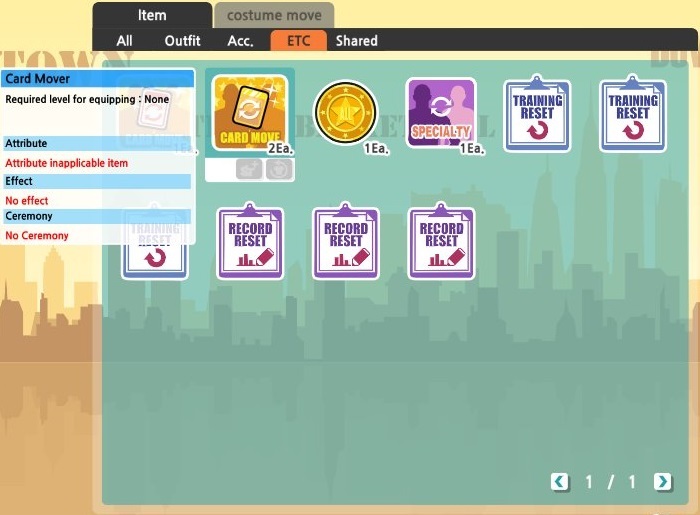 Once you selected the item, click "Select Character"
Characters List window will appear. All the characters in your account is listed. 4. 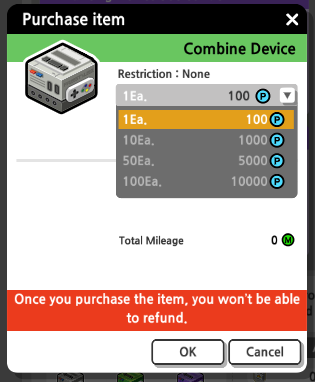 Select the character who will receive the item then click OK. 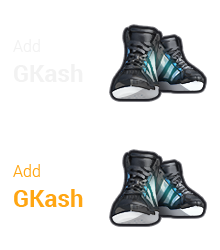 The attributes that has been added to the clothes are equally applied. from the existing lists to have a more useful sub attribute result. 30 talent sub attribute options (offensive + defensive sub attribute). a box or package item in the [Item Shop]. choose one of your legendary cards and change the Sub attribute randomly. The Daily Quest has gone through a lot of changes. 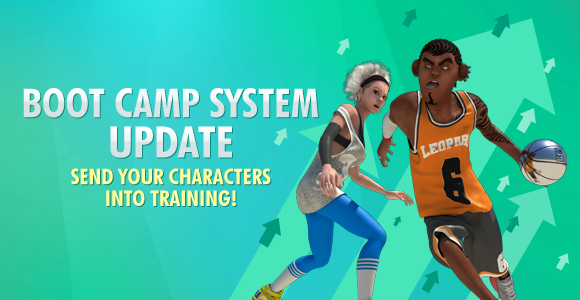 Check below for details on the updates! You will now get a set of random Daily Quests to complete. to change it for a cost of 1000P (max 10 changes per day). The Daily Quest rewards have been updated as well. You will receive the following rewards for completing a Daily Quest. 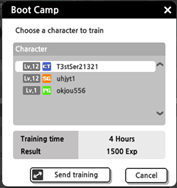 1.What is the Boot Camp System? to gain experience even when you are playing a different character or offline. Check below to see more details! 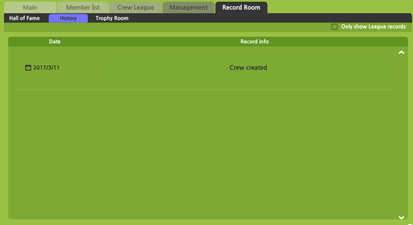 will be decided upon the previous Crew League. activity in your own Crew. 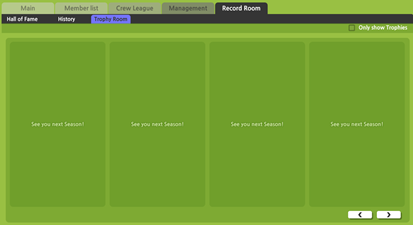 -You can check your Crew’s Create, Level Up, League info in the Crew History page. 1.What is Crew Fan Letter? 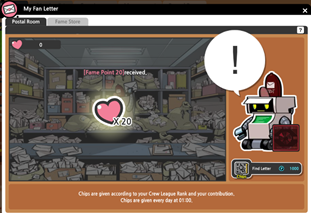 -Use the Letter-Bot to search for your Fan Letter in the Postal Room. League your Crew is in and how active you are. these Fan Letters are random. Gain access to exclusive cool items and benefits in the new Class Shop System. have reached a certain Class will have access to the Class exclusive Shop. with each of their own benefits! Check below for details on benefits on each Class and how to receive AP! 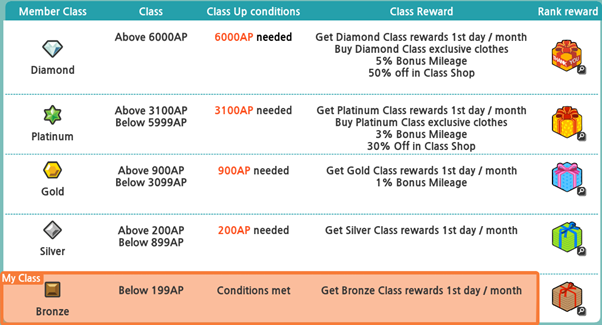 AP are points you must collect in order to upgrade and increase in Class. Below are ways that you can receive AP points. accumulated in the previous month. 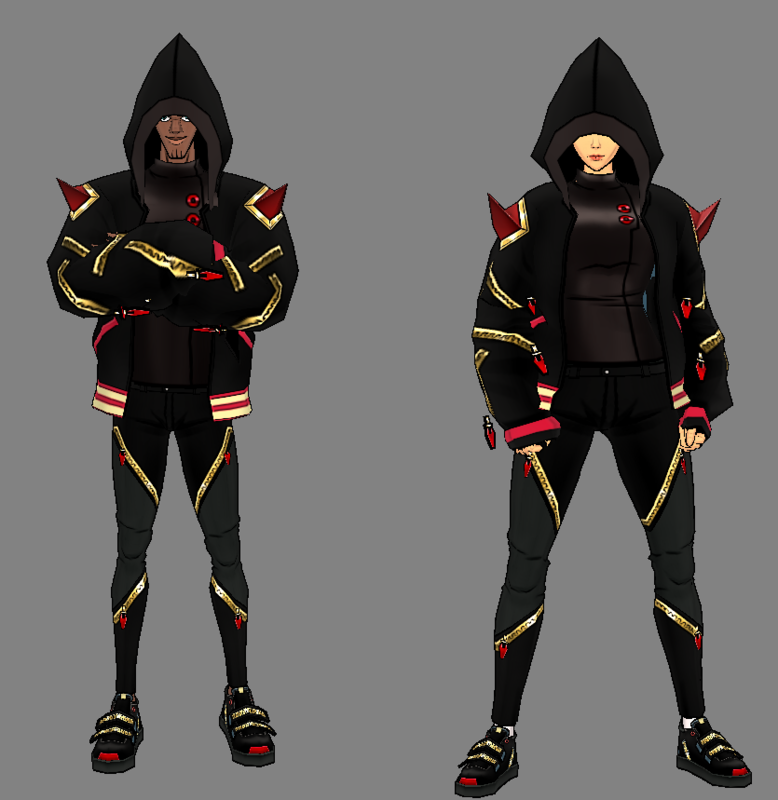 ** Platinum Class Ballers can only buy the Shoes of the Necromancer Outfit. 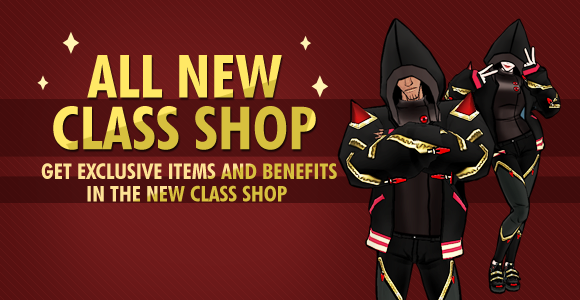 Upgrade to higher classes and reap more rewards in the all new Class Shop!